Suitable for use in industrial environments, maintenance, electronics and mechanical assembly, automotive and munitions. Low modulus formulation for assured fit and reduced hand fatigue. 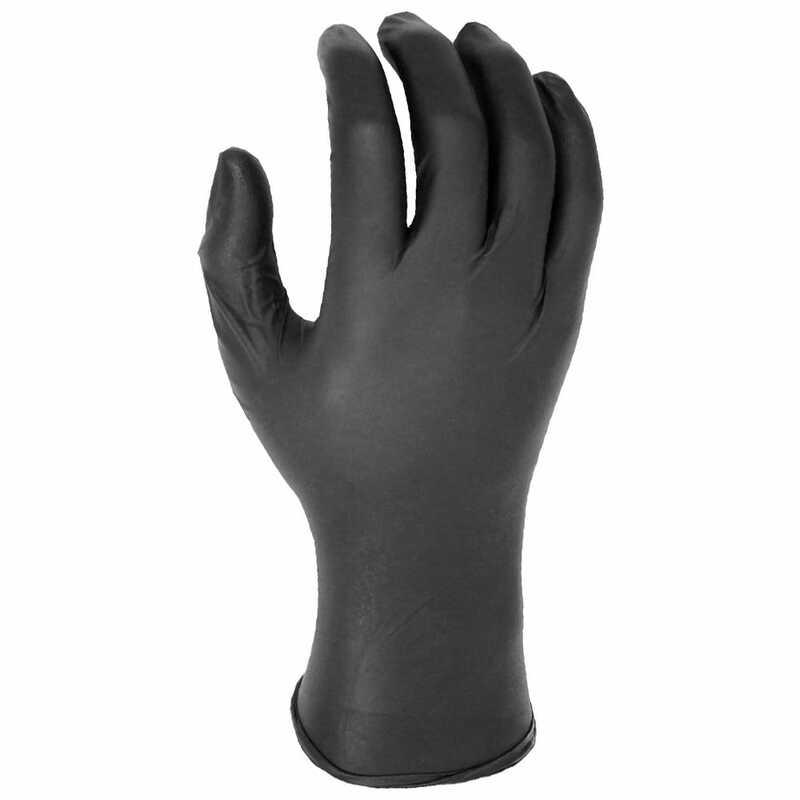 100% Accelerator free and powder-free nitrile disposable glove; the kindest glove on the market. Excellent mechanical strength. Unique black colour reduces visible soiling and promotes longevity. ESD and static dissipative properties. Textured fingertips for secure grip and tactile handling. 240mm long, rolled cuff. Supplied in a dispenser box of 50 gloves.